Every month we spend an evening scouring the pages of the latest issue of Previews and pick the ten titles we are looking forward to the most. This month it's the March issue which includes comics scheduled to ship in May 2017. Matt C: Back in the day I used to be an event junkie; regardless of quality, I HAD to know what happened in the ever-evolving tapestry of the Marvel Universe. These days, with notable exceptions such as Hickman's tremendous Secret Wars, I generally steer clear unless either the high concept is a blinder or the creative team fills me with unbridled confidence. I seem to have inadvertently stumbled into Secret Empire though having followed the 'Cap Is A Hydra!' agent storyline in Captain America: Steve Rogers, which now expands outwards into this miniseries. I've enjoyed the idea, and mostly the execution of it, so I'm willing to give this a go and hope for the best. 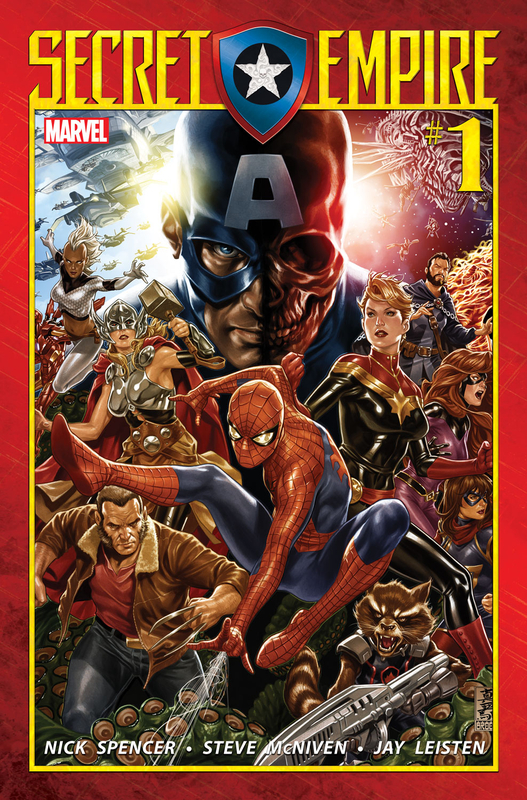 Again, these days I don't have the completist bug that makes me think I need countless crossovers, but so long as I get an engaging tale that doesn't require me to pick up plot details elsewhere I'm optimistic that this, with it's core Cap/Red Skull dynamic, will be a blast. Stewart R: Following the explosive and surprising end to season one of Renato Jones' fight against the money and power hungry appetites and attitudes of the One%, Kaare Andrews brings the fight battle with corrupt back to the page once again in the second volume entitled 'Freelancer'. The first arc was a great tongue-in-cheek look at the real world problems of capitalism and human greed, wrapped up in a violent, 21st century 'hero book' and, as the previously hunted opulent start to push back against their would be executioner, I can only imagine the crazy type of social commentary that Andrews might deliver. Pick up the collected first arc and, in a Trumpified 2017, be ready for this to hit hard come May! Simon M: BOOM! 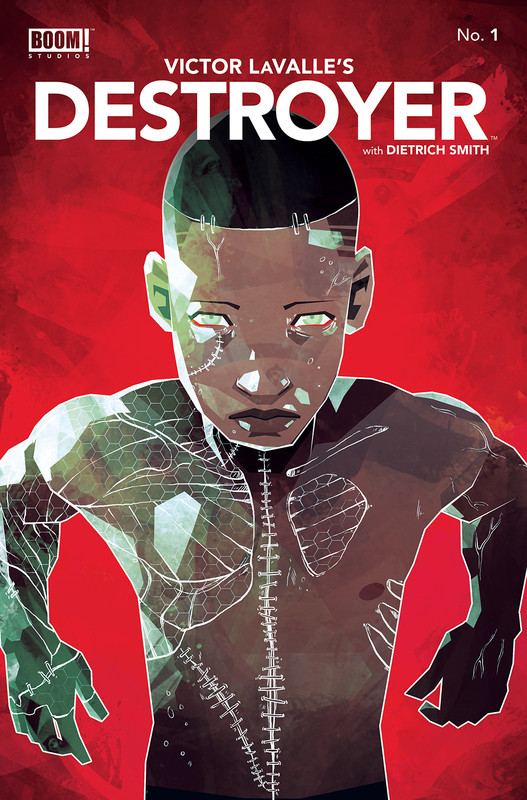 Studios have turned to multi-award winning writer Victor Lavalle to bring a new horror series to the comic book reading masses. Lavelle grew up reading HP Lovecraft and was greatly influenced by his writings before understanding the inherit racism that was found within. Lovecraft’s most racist book, The Horror Of Red Hook, was the inspiration for Lavelle’s novella The Ballard Of Black Tom which he used as a perfect retort to the original source. In Destroyer, Lavelle has fused the mythos of Frankenstein with the Black Lives Matter movement to come up with this new tale. The story focuses on Dr Jo Barker, whose son has just been killed by the police. Dr Barker is the latest in a long line of 'mad scientists' that have descended from the original Dr Frankenstein. The distraught mother finds no solace in the justice system so turns to the only comfort she can, which is her science. The deep grief sends her down the path to the unthinkable and she uses her medical skills and research to revive her son using nanotechnology. It also looks like we will be treated to an appearance of the original monster from Mary Shelley’s original work. Will having her son back be enough to restore her belief in the human race or will it lead to the destruction of humanity? Joining Lavelle is Dietrich Smith on art duties. Smith (Shaft: Imitation of Life and Army Of Darkness) has created some fantastic visuals for this series and I’m very much looking forward to seeing his take on the monster in action. For anyone with an interest in the horror genre or specifically the source material, this should be a must read. Andy H: If there is one character that has been getting a lot of air time lately it's Cable. Forget the movies due out in 2017, everyone wants to know who will play the time-hopping mutant in Deadpool 2 in 2018! Back in comic land and the relaunch of the X-books, it was probably only a matter of time before Cable was back and here he is. Written by James Robinson this should be a winner. Robinson has proven again and again he can deliver great stories. Joining him is Carlos Pacheco on art; he's drawn most of the Marvel Universe over the years so I'm looking to see his take on thsi character. This all comes packed in a gorgeous Dale Keown cover. Storywise it looks like Cable is doing what Cable does best, jumping around time to save the world and keep history from unraveling. If it ain't broke, don't fix it! This year is certainly looking like Marvel is finally serious about the X-Men returning to the top, where they belong (if you're a life long X-fan like me). 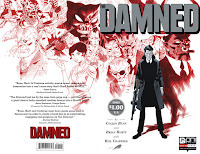 Matt C: The first series of The Damned (released back in 2006), with it's ingenious blend of horror and gangster tropes, was a blast and, for me at least, really put Cullen Bunn on the map as a creator to keep an eye on. A second miniseries - Prodigal Sons - was equally as good, until that is the final part missed a delivery somewhere and as far as I can tell never reached these shores, and consequently I've never read the thing (somehow I could never justify the $20 plus delivery price tag on eBay to ship a copy over from the States!). 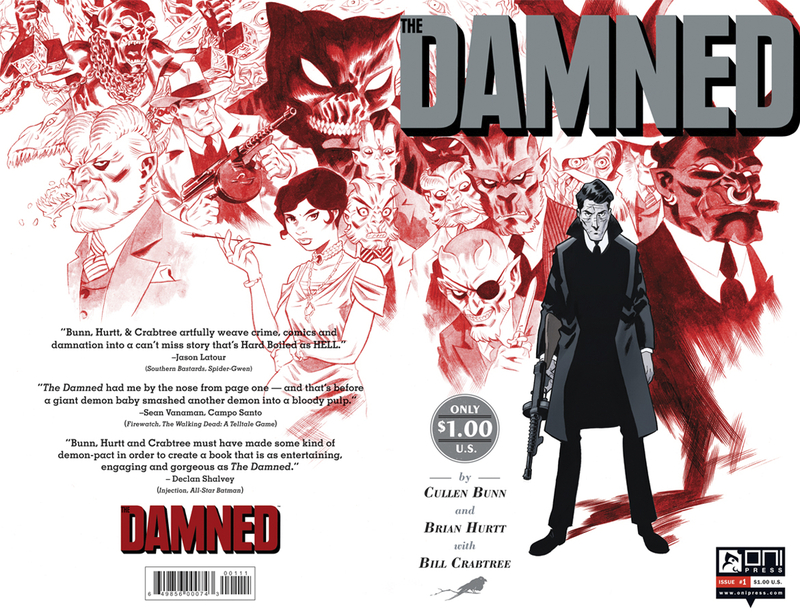 Hopefully that will now see the light of day in a collected edition because, while Bunn has gone on to much bigger things in the last decade, he's returning to this world for another look, alongside original artist (and his Sixth Gun collaborator) Brian Hurtt. And it's only 25¢ (no delivery charge!). Even if you didn't check out any of the original tales, what've you got to lose at this price? James R: I am not normally the biggest fan of horror as a genre as it's always just a little too predictable, and I don't revel in the macabre too much. Alan Moore's Providence has certainly made me realise the potential of horror in comics though, and out of the pages of Previews this month this was the one title that really grabbed me. Cullen Bunn is an experienced hand at writing dark tales (Harrow County) and artist Danny Luckert was the man behind the much-lauded Haunted. The two are joining forces to bring us a tale of a man named Adrian - hounded by waking nightmares, he consents to hypnotherapy to take him back through his past lives in an attempt to cure his affliction, only to find something dark follows him back to the waking world, dragging him into a web of occult conspiracy. The moniker of 'supernatural horror conspiracy' sounds brilliant, and Regression looks to be a gem. 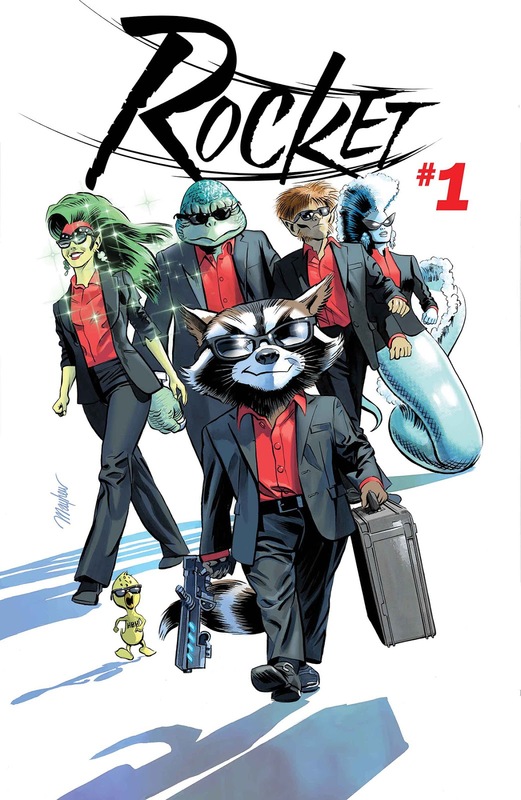 Jo S: With the second Guardians Of The Galaxy movie eagerly anticipated next month, a new Rocket series feels like a great way to get the excitement going. The idea of multiple restarts for a character is still a bit of a novelty for me as a comics newbie but I can’t deny I have a bit of a soft spot for the feisty little fuzzball on the team and I'm interested to see how his wisecracking attitude develops in this new version. The title drops his verminous moniker but I can't imagine he's going to be squeaky clean in this new tale - perhaps the rumoured love interest will bring out his clean living, decent side? Let's hope not! Matt C: Having been hugely impressed with the Robert Johnson graphic novel Love In Vain last year, the entry for this in Previews, an biographical look at another pivotal figure in early 20th century popular music, Billie Holiday, caught my eye. Investigations reveal that this isn't actually a 'new' tome, originally seeing publication over a quarter of a century ago from the Argentinean creative team, but clearly that passed me by at the time, and as NBM are offering another opportunity to take a look at this take on a fascinating, hugely influential individual, I'm not going to let it slip by for another 25 years! Stewart R: Since Jonathan Hickman's S.H.I.E.L.D. series ran up against its bizarre, seemingly endless hiatus (or cancellation?) we've not seen too much additional comic book work from Dustin Weaver surface. 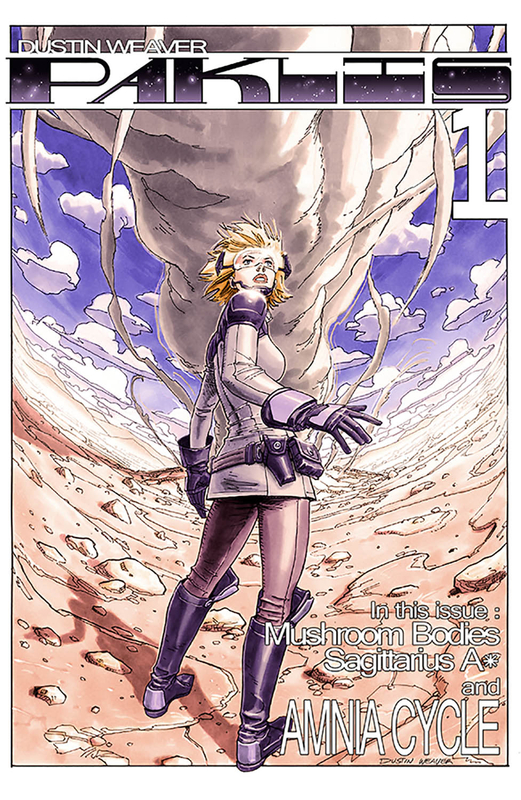 Now this talented artist is not only back with work he's drawn AND written, but Paklis is to be an anthology title meaning that each 32-page instalment will contain chapters for three separate but thematically linked stories. The opening line of the promo material is a great start: 'Do you accept the life you've been handed, or do you step into the unknown, even as it leads you into the shadows?' From what I've seen this series will have a heavy sci-fi slant and based on Weaver's previous Marvel work I simply can't wait to see what sort of visual world-building he'll bring to his own personal output. Matt C: Matt Hawkins is great at taking contemporary ideas and transferring them into well-researched, thrilling, cutting-edge stories, so Samaritan #1 immediately blips on my radar. There a shades of Mr Robot here as a woman with a vendetta attempts to take down a huge, technologically advanced company and deal with the repercussions that follow, and it certainly seems like a relevant concept which I'm sure Hawkins will make as plausible as possible.